The late Elder Zhuan Jie, whose dharma name is Tuo Hai which means “liberation from the oceans of sufferings” was born in a village near the town of Nan An, in the province of Fu Jian, China. His father’s name was Huang Ren Zhong and his mother, Madam Lee. Young Zhuan Jie lost his father when he was very young. He was a bright and earnest child who had private tuition at home while helping out at the family farmland. When young Zhuan Jie was a teenager, he often followed his brother to Xue Feng Temple in Nan An, which was very near where they had lived, to visit their uncle - Venerable Xi Min who was ordained as a monk. At that time, Elder Fo Hua was the Abbot of Xue Feng Temple. 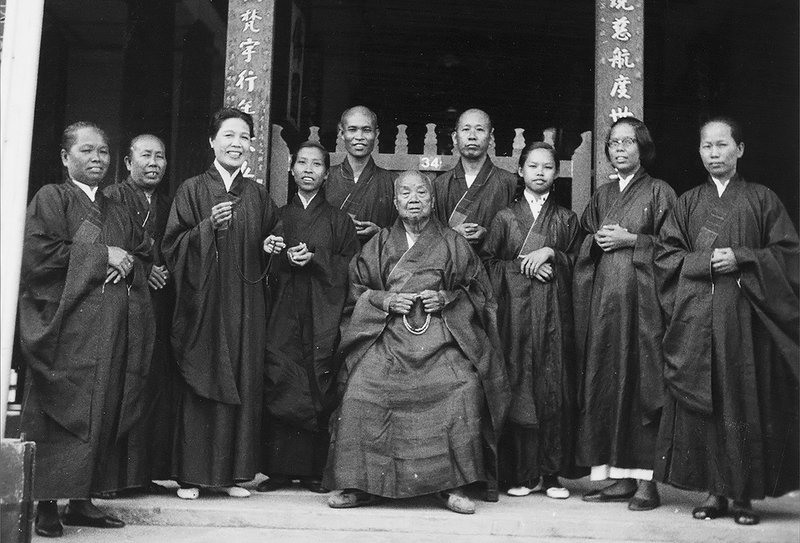 Elder Fo Hua was renowned for his deep knowledge of I Ching and Zen practice. Many scholars and aristocrats at that time admired his talents greatly and often seek his advice and teachings. Young Zhuan Jie was very blessed to have studied under this great master and developed a deep understanding of Buddha Dharma. Soon thoughts of entering monkhood to follow the footsteps of Elder Fo Hua and Venerable Fo Hua developed and young Zhuan Jie did not wait long to have a tonsure ceremony conducted for him when he turned 21. His Dharma Master then was Venerable Xi Hui. 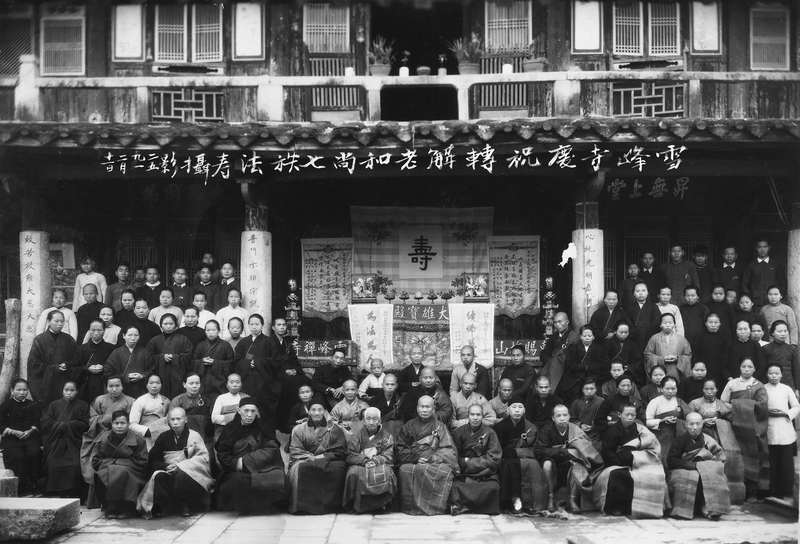 In the following year, Venerable Zhuan Jie followed Venerable Xi Can to Nan Pu Tuo Temple to teach Buddha Dharma and to conduct precepts ceremony. It was also at Nan Pu Tuo Temple that Venerable Zhuan Jie received the full precepts required of a fully ordained Buddhist monk. 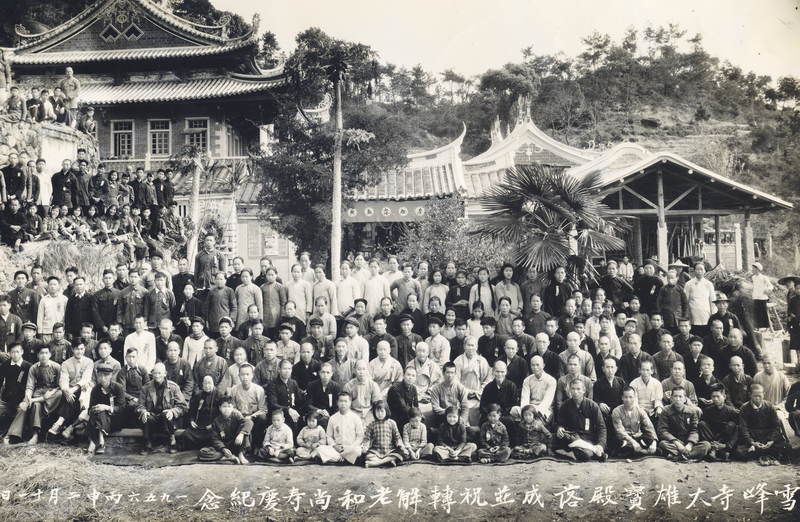 Soon after the precepts ceremony at Nan Pu Tuo Temple, Elder Xi Can decided to begin a pilgrimage in the Zhe Jiang region, which was renowned in China to be a congregation place where great Dharma Masters lived and practiced. It was also a conducive place to practise and observe Zen precepts. Hence, Elder Xi Can, together with Venerable Zhuan Jie, set off by foot and started the pilgrimage at Tian Tong Temple in Ning Bo. From this pilgrimage, Venerable Zhuan Jie managed to deepen his understanding of Zen and learned to perform the rites for puja and tonsure ceremonies expertly. Elder Xi Can was impressed by Venerable Zhuan Jie’s conduct and earnest attitude towards learning during the pilgrimage. Upon their return to Fu Jian province, Elder Xi Can named Venerable Zhuan Jie his successor. Subsequently, the duo began another journey to propagate Buddha Dharma, only this time, the destinations were Singapore and Malaysia. They were staying at Long Shan Temple in Singapore where they assisted Elder Rui Jing in the restoration of this temple. Despite being in a foreign land where Singapore was still a British colony, Elder Zhuan Jie never ceased planning for temples in China, especially those that he was closely associated with. Every dollar he had raised or saved would always go towards temple restoration projects back in his homeland, China. When Venerable Zhuan Jie was at Nan Pu Tuo Temple, he played a key role in overseeing the restoration works, in particular for the Main Hall at the temple. After the restoration, the temple was able to regain its former glory as the central temple in the region. Elder was subsequently, requested to accept the role of Abbot at Nan An Xue Feng Temple. During the Tang dynasty, Xue Feng Temple was formerly the private ancestral temple for the Great Zen Master Zhen Jue Yi Chun where the tablets of his parents were placed. Gradually, the temple was converted into a monastery or Vihara and eventually gaining reputation in the region as the Nan An Xue Feng Temple. Monks at Xue Feng Temple sustained their livelihood by growing their own crops and vegetables. They typically had very little personal items and resources. It was said that during times when Elder Fo Hua was alive, all monks in the temple shared a long robe which was usually put on when one left the temple to visit the town. Monastic life at Xue Feng Temple was in general not easy. However to Elder Zhuan Jie, the living quality was comparatively better than before, though there were times when resources ran low and was lacking. The monks at Xue Feng Temple also grew tea leaves amongst other crops. Monks often had to pluck tea leaves, bundled them in bulk and carried on their shoulders for sale in town. With much marketing efforts, the tea soon became popular for its quality and the temple began to have some regular income. In this way the monks’ livelihood was stabilized and they could focus on their studies and practice. However, the premises of Xue Feng Temple were deteriorating and desperately needed repair. 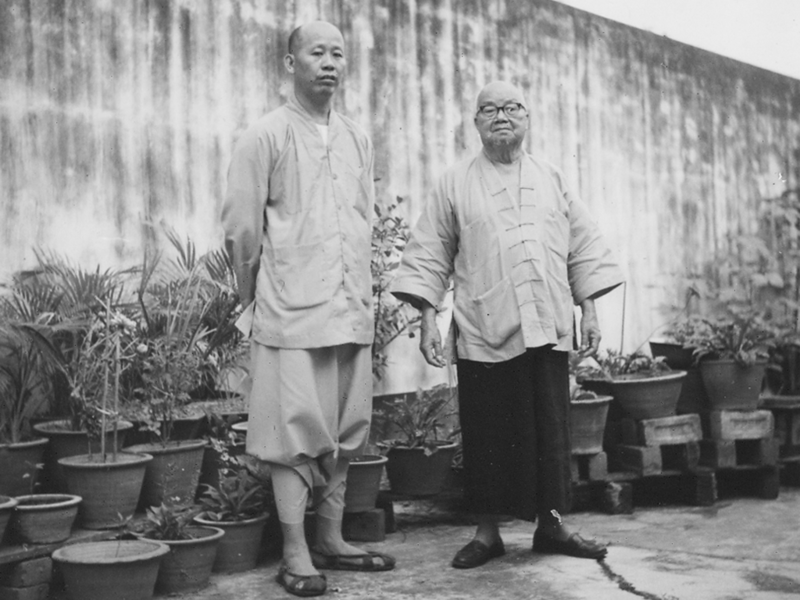 Before the World War II, Elder Rui Jing from Long Shan Temple in Singapore was in charge of raising fund for the Xue Feng Temple restoration project while Elder Zhuan An was tasked to oversee the actual restoration works at the temple. Due to some manpower-related obstacles, restoration works gradually came to a halt before it could complete. When World War II started, Elder Zhuan Jie moved to South East Asia and eventually settled in Singapore. During his first year in Singapore, Elder worked and saved hard to raise funds to build Poh Jay Temple so that traveling Sangha had a place to stay and Chinese immigrants had a religious place to worship. The conscientious Elder worked ceaselessly to build another temple known as Xiang Lian Nunnery for female Sangha members and lay disciples. In the year 1949, the political situation in China, at that time was having an upheaval and it was extremely difficult to send money over to China. The Hall of Merits at Xue Feng Temple had collapsed. With sheer determination from Elder, the Hall of Merits was eventually restored. 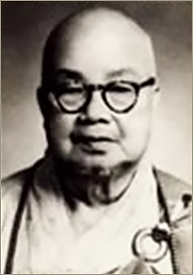 In 1951, Elder was requested for the third time to resume the position of Abbot of Poh Jay Temple. In 1954, once restoration project was completed, Elder wrote a formal letter to announce his decision to retire from his role as the temple abbot. Elder was a highly respected figure in the Buddhist Community in Singapore where he was elected as the Head of Supervisory Committee of Singapore Buddhist Federation; the Deputy Chairman of Mee Toh School in the 4th Management Committee and the Sangha Advisor of Chong Hua Buddhist Society. The summer of 1960, 26th day of the 9th Lunar month, at the age of 76, Elder Zhuan Jie passed away due to stones in his kidney. He had strictly observed precepts required of him upon ordination for 55 years and spent 57 years as a practitioner and monk. Elder was an earnest practitioner and a capable leader in the Buddhist Community. His observance of precepts was exemplary and he led an ascetic life where he had abstained from many worldly pleasures and obsession. His energy was unbound and had worked ceaselessly for the propagation of Buddha Dharma and the social welfare of the Chinese Buddhists during the nation building years of Singapore. Elder Zhuan Jie was indeed a high monk who was very difficult to meet in these recent times.